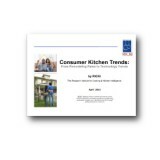 Welcome to the most comprehensive library of kitchen industry research anywhere. 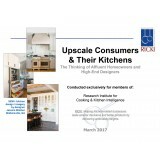 Browse our diverse collection of one-of-a-kind kitchen reports for unique perspectives and insight to the constantly evolving kitchen sector. Based on data 300 Millennial homeowners (ages 21 to 35) who bought a home in the past two years. 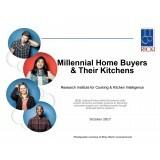 This report provides data about the attitudes and thinking of younger consumers around the kitchen, and highlights the differences between Millennials and older generations in the role of kitchen played in the home buying process. © RICKI, LLC. All Rights Reserved.